For more promotions check our RedKings Poker promotion page. The company behind RedKings Poker is RK Operation Ltd. RK Operations is based in the British Virgin Isles, with the support and marketing departments operating out of Limassol, Cyprus. If you intend to contact the company through snail mail, you’ll have to write to their Limassol address. RedKings uses Ongame software. Ongame Network Ltd is currently one of the world’s largest online poker networks, and it’s operating under a license issued by the Govt. of Gibraltar. Safety, transactions security and customer care are at the top of the list of priorities for RedKings Poker. The authority in charge of regular audits concerning the fair nature of the games offered by RedKings Casino and Poker room is eCogra. The company is keen on keeping underage gamblers off its tables, regardless of whether we’re talking about the casino or the poker ones. Responsible gambling is another one of the issues that RedKings doesn’t cut any corners on. They offer counseling as well as advice on preventive measures to ensure customer safety in this respect as well. The software that RedKings poker runs on is the battle tested Ongame software. It is excellent as far as stability and speed are concerned, and it is visually appealing too, although the lobby can be difficult to navigate. It is available both in a downloadable and in a no download instant play version. While the downloadable version features better graphics and more diverse options, the no download version is quite outstanding in its own league as well. RedKings Poker is indeed one of the best choices for players who do not use a PC. The software is available in 17 languages, which betrays that the room is mainly European oriented. US players are not currently accepted. The statistics are the usual ones: flops seen, hands played, avg. pot sizes etc. There is however an excellent hand history feature which offers players the possibility to assess their performances in-game or to download the files for later analysis. Multi tabling is available at 16 tables simultaneously. The software does an excellent job of keeping up when stretched to the max, so multi-tabling does indeed represent an excellent option when it comes to bonus redemption or lucrative micro limit play. Graphics are nice, 3D-like avatars are available and players can switch to 4-color decks too, which makes multi tabling much easier. A client for mobile platforms is also available. The hand replay feature offered by the software works in the mobile version as well. RedKings obviously prefers people to make their deposits and withdrawals through Moneybookers, and I do not blame them: they are of course aiming to keep things as hassle free as possible, like everyone else. If you make your first deposit through Moneybookers, you’ll get an awesome deal: you’ll get a 500% match on your deposit up to a staggering $5,000, paid out over 4 month’s time. It is basically the equivalent of receiving 4 bonuses, one after the other. Players will have 80 days to unlock this bonus. The “refer a friend” setup offers players a $50 bonus for every referral. In order to stay true to the name of the room, RedKings poker offers a special bonus to all those who pick up the two red kings in their pocket. You’ll get $10 from the get-go, and if you go on to lose on your red kings, you’ll get a $50 bad beat bonus. The most basic first deposit bonus RedKings offers is a $250 one. Players will earn $10 for every 120 player points they generate, up to a maximum of $250, regardless of the size of their initial bonus. Other such custom tailored sign up bonuses are also available: you’ll be able to get $500 or $1,000 in two different types of incremental bonuses, or you’ll be able to choose between 3 fixed %-match bonuses: a $1,250 one, a $2,000 one and a $2,500 one. RedKings has about 45,000 players at its tournament tables in peak hours, which is pretty impressive. 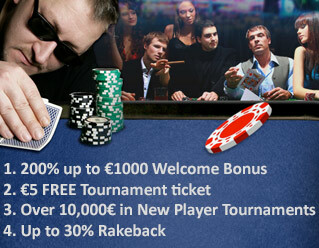 As a result, tournament action is good, fast paced and there are plenty of events to choose from, on all buy-in levels. The competition is generally decent (which is not such a huge mark in the +column) and it can get annoyingly good in the later stages of MTTs. Smaller prize-pool GTDs are offered on a daily basis, however there are $25,000 as well as $50,000 weeklies also. These events draw huge starting fields and some pretty good players too. The Sunday $100k guaranteed is the flagship event of the site. Online qualifiers to some of the biggest live events (like the WSOP) are also running all the time. RedKings’ tournament offer could be billed a house specialty, as the traffic is excellent and the action is surprisingly good for a poker room this size. No wonder they have been labeled as one of the fastest growing online poker rooms in the industry. Another rather unique and surprisingly useful feature they offer is the hand replay feature. Through this option, you’ll be able to check back on what you did wrong as if you were watching the hand unfold live. It is available in the downloadable software, in the no download one as well as in the one offered for mobile platforms. An obviously Europe-facing poker room, RedKings Poker does not accept US players. The Ongame network as a whole does not accept US players, but they already have excellent Europe based traffic which they share among the member sites. RedKings’ support is excellent. They reply to emails in a timely manner and they obviously handle phone inquiries on the spot. The staff are knowledgeable, and the answers you’ll get are always useful. The only thing I decry is the lack of a live chat support feature, which is by far the fastest and most efficient way to take care of one’s customers. The apparent shallowness of the information contained by their website is another shortcoming.